Auction house Tiancheng International has announced the scheduling of its 2014 Hong Kong Jewelry and Jadeite Spring Auction for June 8, 2014. The much-awaited annual spring sale will feature over 400 lots, 70 of which are placed under the “no reserve” category and over 360 lots consisting of Chinese and Western inspired jewels, expected to achieve a sale total of over HKD 300 million (US$ 40 million). The Jadeite jewelry creations include all varieties of jadeite such as old-mine jadeite, designer jadeite, jadeite cabochons as well as white-jade ornaments, pendants and bangles. A top-lot carved out of old-mine glassy jadeite, radiating an imperial green color, is a natural jadeite leaf, ruby, yellow-diamond and diamond pendant, together with a pair of matching pendant earrings bearing the same leaf motif. A pre-sale estimate of US$ 1.90 – 2.56 million is placed on this lot. The range of jadeite cabochon creations at the sale is led by a natural jadeite and diamond demi-parure. The jadeite cabochons exhibit full-bodied translucency and greeness of unparalleled quality. A pre-sale estimate of US$2.45 million to $3 million is placed on this lot. 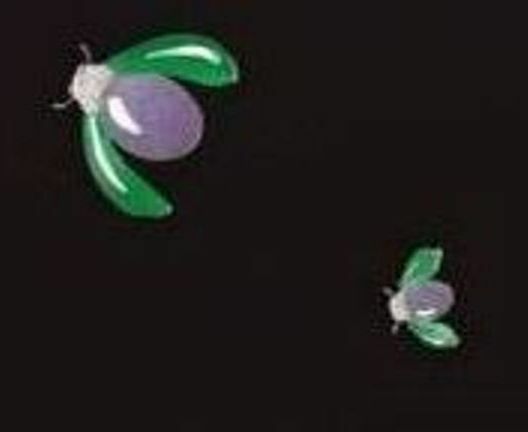 Among the signed lots by famous jewlery designers include, a natural lavendar jadeite and diamond “beetles” jabot pin by Hong Kong jewelry designer Jason Koo. A pre-sale estimate of US$ 125,000‑190,000 is placed on this lot. Another lot by a famous jewelry designer is the lavender cabochon jadeite ring with a glittering rose-cut white diamond surround, further embellished by two small green jadeite beads, by Alessio Boschi. A pre-sale estimate of US$ 36,000‑49,000 is placed on this lot. 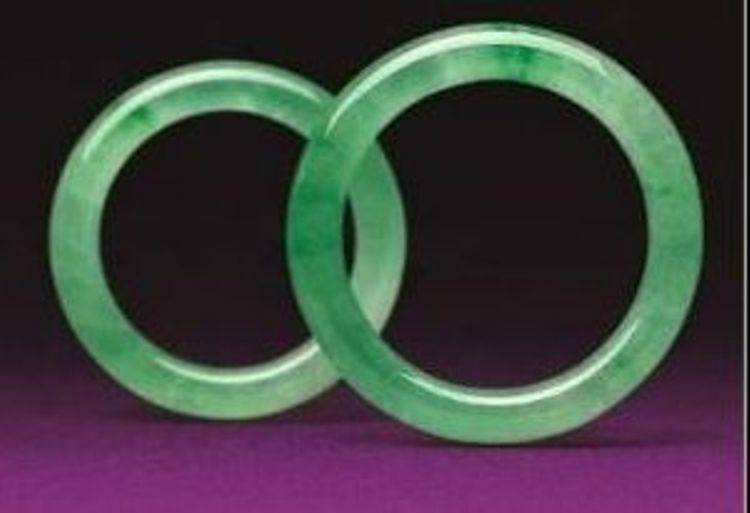 Another important jadeite lot is a Pair of Natural Jadeite Bangles with a pre-sale estimate of HKD 3-5 million equivalent to US$ 387,000 – 645,000. Among the other jewels in the sale one of the highlights is a five-strand natural saltwater pearl and diamond necklace, consisting of 590 round pearls with a diameter varying between 4.00-12.55 mm with a presale estimate of US$1.03 million to US$1.54 million. 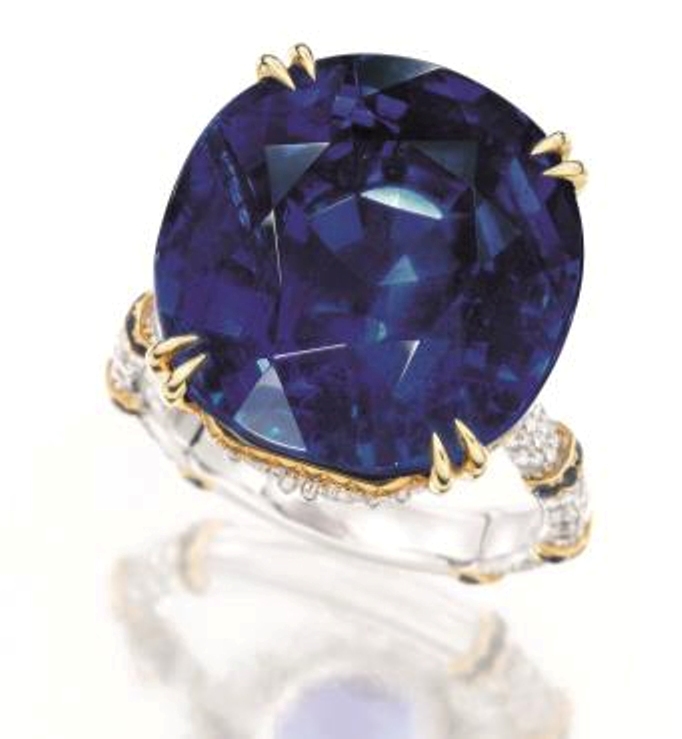 Other highlights of the sale include several top colored-stone jewelry lots, such as the 30.91-carat, natural unheated Burmese sapphire and diamond ring, with a presale estimate of US$900,000 to US$1.1 million and the 15.07-carat, natural, unheated ruby and diamond ring, whose center stone is flanked by rubies and white diamonds, weighing 4.28 carats and 2.52 carats respectively, with a pre-sale estimate of US$1.4 million to US$1.9 million. 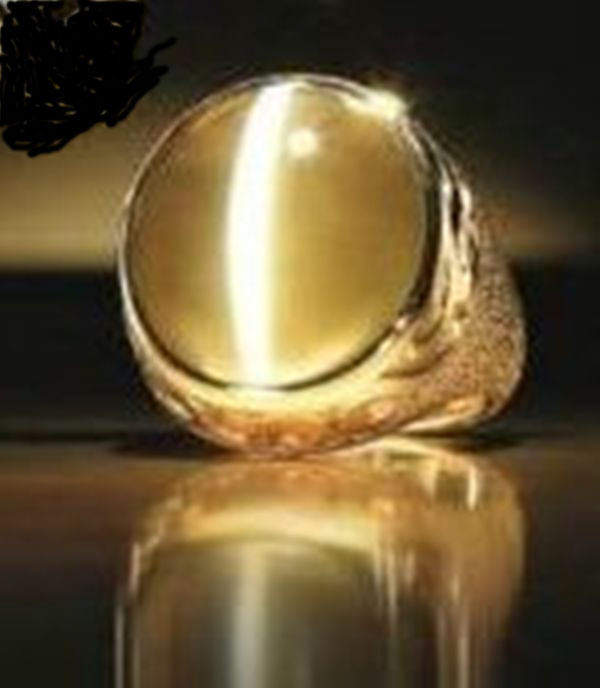 Another important lot is a 77.01-Carat Natural Untreated Sri-Lanka Cat’s-Eye Chrysoberyl “Double Dragon” Ring with a pre-sale estimate of HKD 5,400,000 – 6,400,000 equivalent to USD 696,000-825,000. 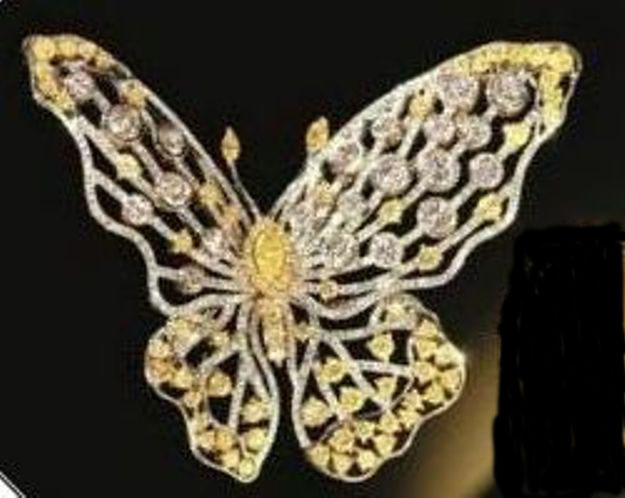 A Natural Fancy Intense Orange-Yellow Diamond, Coloured Diamond and Diamond Butterfly Brooch with a pre-sale estimate of HKD 180,000 – 250,000 (USD 23,200-32,200) and a 39.24-carat natural, untreated Pamir spinel and diamond ring with a presale estimate of US$450,000 to US$580,000 are among other significant lots at the auction. Commenting on the upcoming spring sale, Stewart Young, the director of Tiancheng International’s jewelry department, said, “The spring is a nourishing season that gives rise to unlimited possibilities in nature, the spirit of which closely aligns with Tiancheng International’s motto. With youthfulness and innovation as our determining motivation, we aim to explore new frontiers in the Asian auction market, presenting to our valued collectors a rich variety of finest jewels. Seeing this interesting linkage, we decidedly use ‘Springtime Blossom’ as our auction’s theme, in the hope of celebrating the blooming array of precious jewels. This spring, we have amassed not only the usually sough-after items, but also a series of ‘rising stars’ in the market.